AFTER Graduation!! Please Register today, before Spring Break, if you haven't already. Forms below. 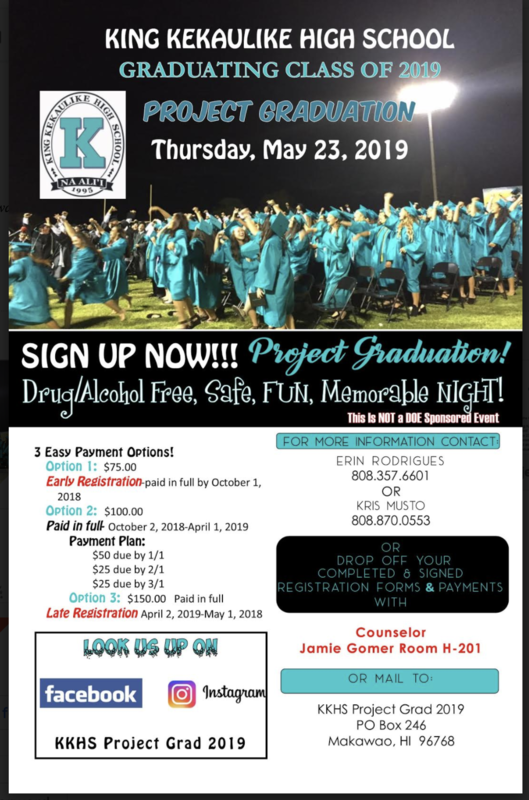 All KKHS Families, Please consider finding sponsors for this event. Any amount is greatly appreciated, even $5 gift cards. Thank you so very much for keeping our 2019 graduates safe. Scroll to view all information. Click on form to print.